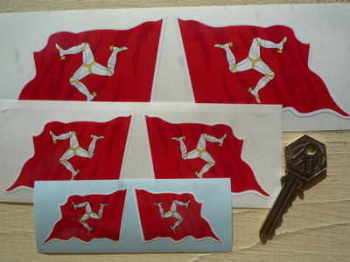 Isle of Man TT - I Say Ding Dong Shop - Buy Stickers, Decals & Unique Automobilia. Avon 1959 Classics TT Banner Art. Special Offer to Clear. 19" x 26". 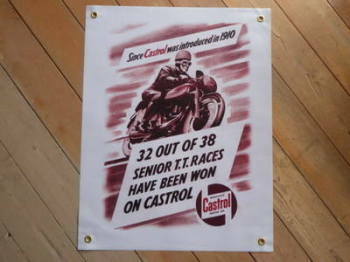 Castrol '32 Out Of 38 TT Winners' Art Banner. 19" x 25". 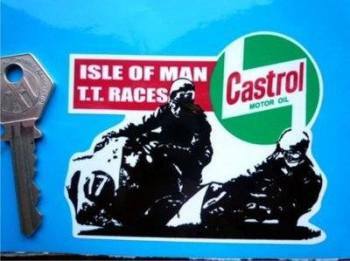 Isle Of Man Castletown Southern 100 Sticker. 3". 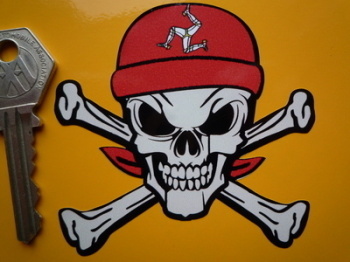 Isle Of Man Southern 100 Sticker. 60mm. Isle Of Man TT Races 1957 Golden Jubilee Motor Cycling Magazine Oval Sticker. 65mm. 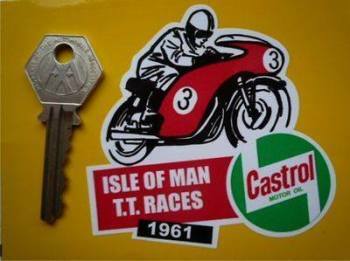 Isle Of Man TT Races 1960 Sticker. 3". 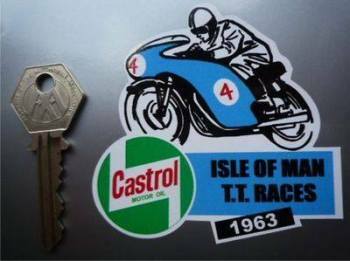 Isle Of Man TT Races 1961 Sticker. 3". 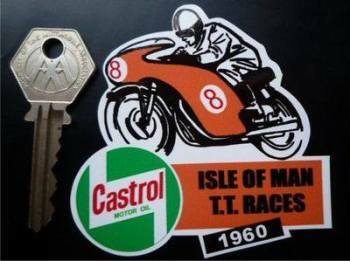 Isle Of Man TT Races 1962 Sticker. 3". 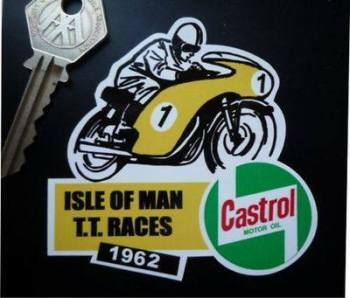 Isle Of Man TT Races 1963 Sticker. 3". Isle Of Man TT Races Distressed Union Jack Shield Stickers. 3". 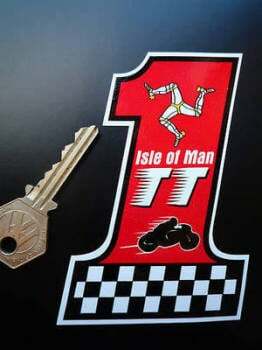 Isle Of Man TT Races No.1 Sticker. 4". 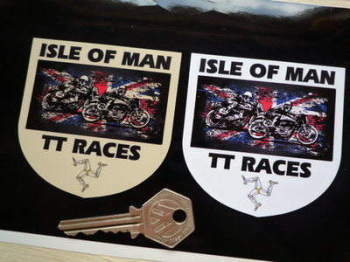 Isle of Man TT Races Racing Biker Style Laser Cut Self Adhesive Badge. 2.5". 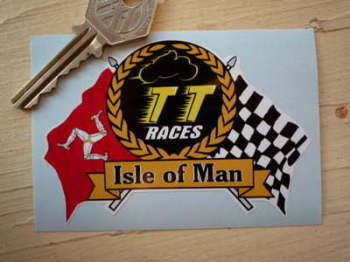 Isle of Man TT Races Shield Style Laser Cut Self Adhesive Badge. 1.5". 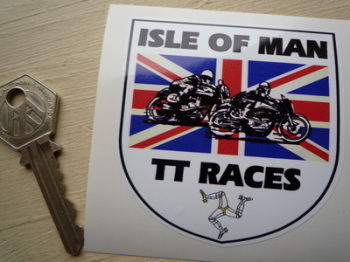 Isle Of Man TT Races Sidecar Racers Sticker. 3.5". 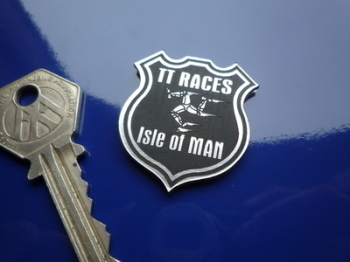 Isle Of Man TT Races Style Laser Cut Magnet. 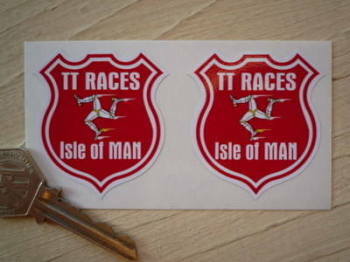 2.5"
Isle Of Man TT Races Union Jack Shield Sticker. 3". Motor Cycle Weekly I.O.M TT 1976 Tank Pumped Out Sticker. 3". Motor Cycle Weekly Paper Parallelogram Sticker. 120mm. Motor Cycling Weekly Paper Sticker. 6". Norton Winner of 32 TT Races Banner Art. 26" x 26".